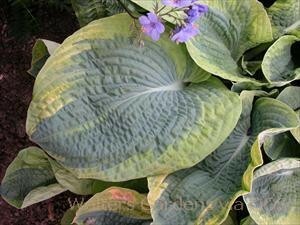 Product Information : Giant, blue-green leaves with very wide, chartreuse to yellow margins. Leaves are leathery, corrugated, and slug resistant. White flowers.